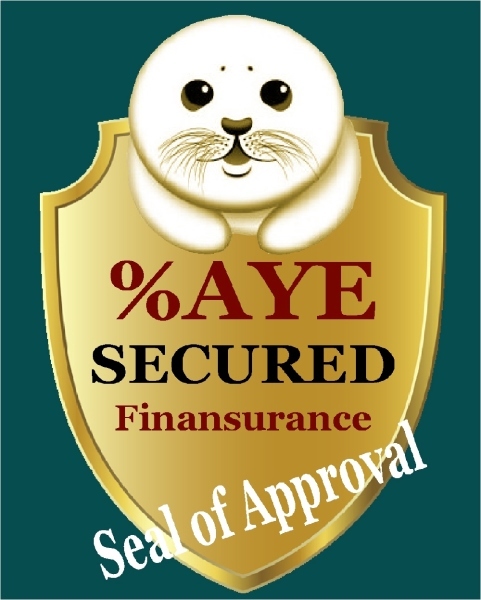 %AYE provides the security of variable monthly payments, meaning your payment is the percentage a agreed to pay at the time your loan was made. If your income decreases, so does your payment. But that is not the whole story. All %AYE loans, of all kinds, include a combination of financing and insurance, which is known as 'Finansurance," the most secure kind of loan, for both parties, ever offered. If you are offered a loan which you are told is, "just like a %AYE, Secured, Finansurance loan," pause to call us immediately. You do not want to be deceived.